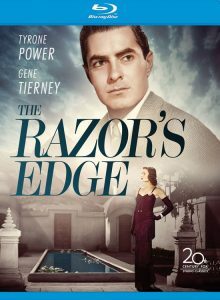 Come join us to watch and then discuss the award-winning 1946 classic film, The Razor’s Edge, based on the novel by W. Somerset Maugham. It stars Tyrone Power as an American fighter pilot in World War I who experienced a traumatic event that later caused him to leave his comfortable life after the war, and search world-wide for true meaning. How did he change? How do his loved ones and friends react to what he learned in India?